Inspired by a spiritual psychedelic vision, the Ayaconda is a view into another dimension. 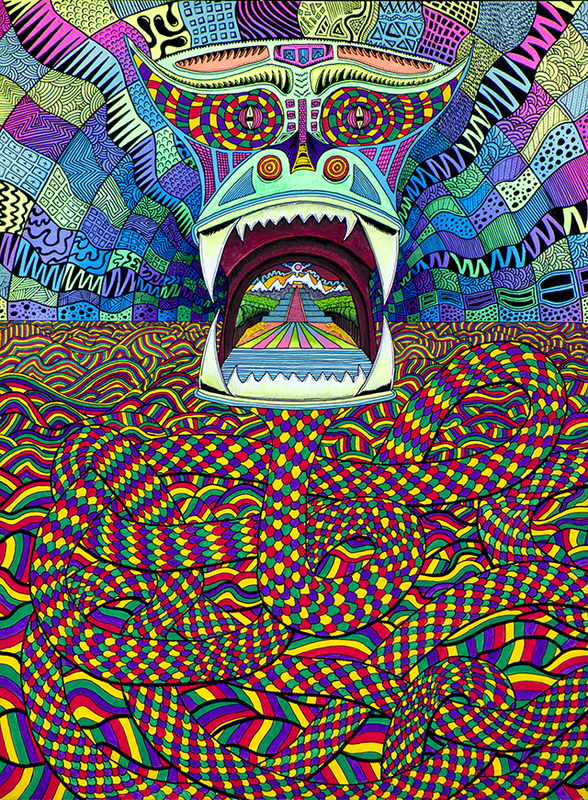 A dragon headed serpent coiled up in a technicolor landscape over-stimulates the mind into a deep stillness and wonder. Take time to notice the many small details of this piece. Painted with paint pens this work took over 150 hours to complete.